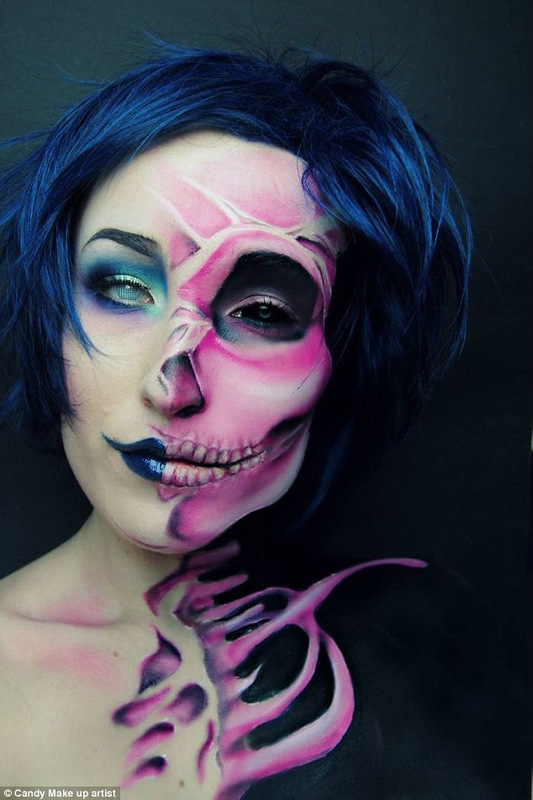 CHECHESMITHNATION : Scary Or Artistic? Joyce Transforms With Make-up. 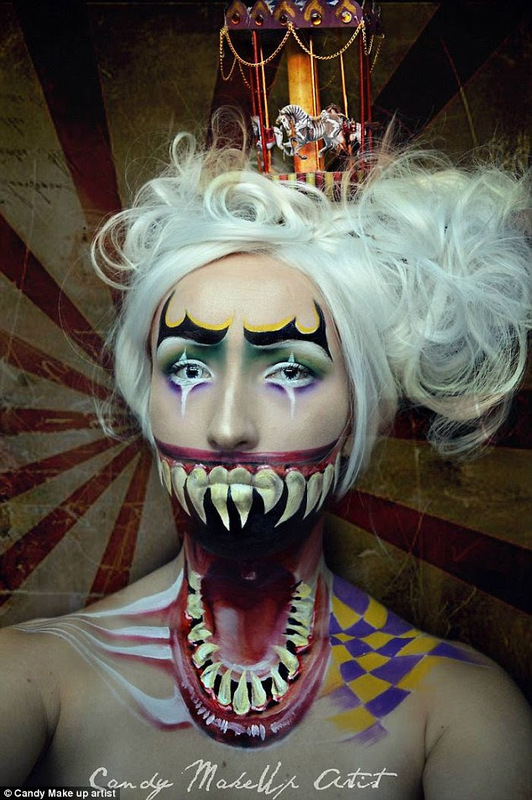 Her name is Joyce Spakman,she has been practicing creating looks for nine years; since she was 14. It's really amazing what makeup artists can do with makeup these days and time.This might look scary a bit,but this is serious art and people who appreciate art..will love this works. Joyce from Hilversum, Holland in these photographs has showcased her amazing makeovers in different versions of characters such as Pennywise the clown and Alice In Wonderland. She not only transforms looks from day to night,but also from reality to dark fantasy. 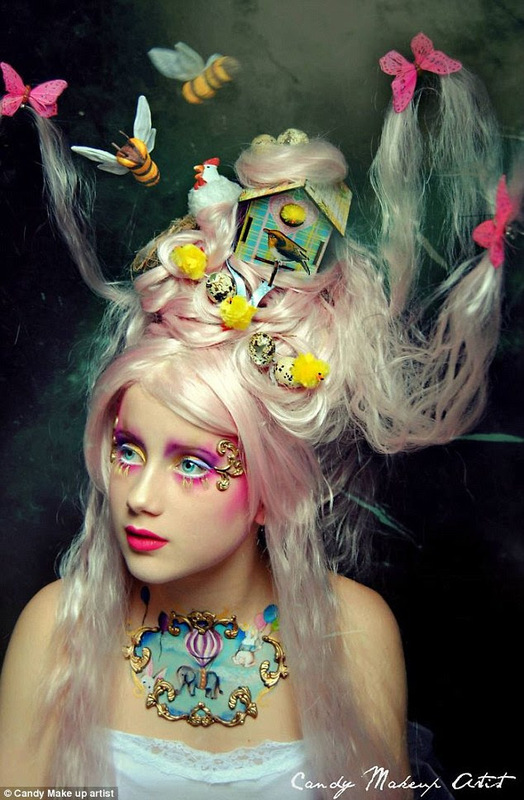 She spends hours on make-up artistry ,capturing the results in high-quality images. "Themed photoshoots usually have their hairstylists, photographers, make-up artists, etc, but I do everything by myself and without any professional photography equipment. On her Instagram Joyce says she loves to experiment with makeup. 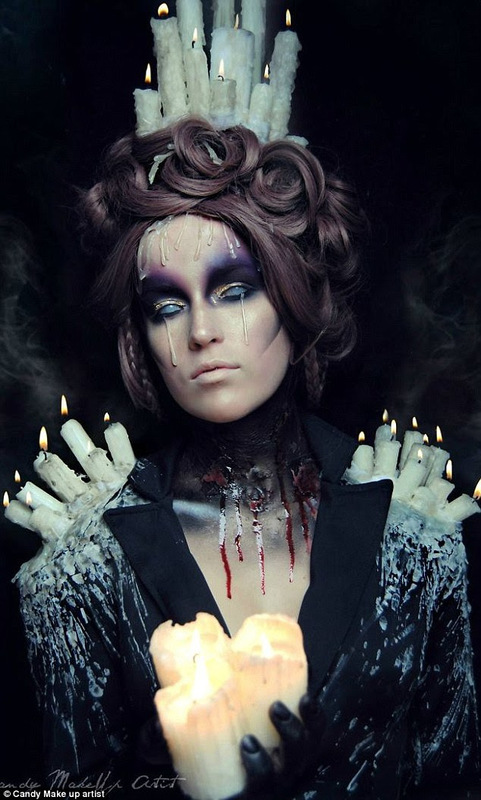 A lot of candles have been used to create this look, Joyce even takes her own photographs. creepy. Creative too. It'll make a nice horror film.